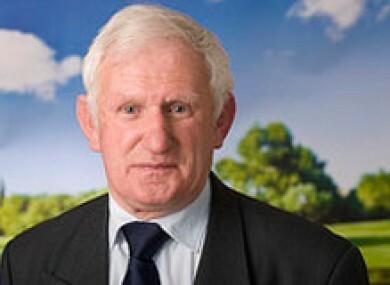 Wicklow County Council chairman Jimmy O’Shaughnessy has quit the party today. A THIRD LABOUR Party councillor in three days resigned from the party earlier today, citing the disconnect between the leadership and grassroots members. Wicklow County Council chairman, Jimmy O’Shaughnessy, said that the Budget announced earlier this month was “the last straw for me”. He becomes the third Labour councillor in three days to resign from the party following the departures of Seán O’Grady and Paddy Bourke this week. O’Shaugnessy, who has been a councillor for two decades, also criticised measures announced in the Budget two weeks ago, particularly the decision to raise DIRT tax to 41 per cent. He also hit out at the cut to jobseekers’ allowance for those under the age of 26, saying that €100 a week is not enough for young jobseekers to pursue training opportunities. O’Shaugnesssy is the third Labour representative on Wicklow County Council to quit the party following the departures of Tom Fortune and Barry Nevin in June. Email “Three in three days: Another Labour councillor has resigned from the party”. Feedback on “Three in three days: Another Labour councillor has resigned from the party”.